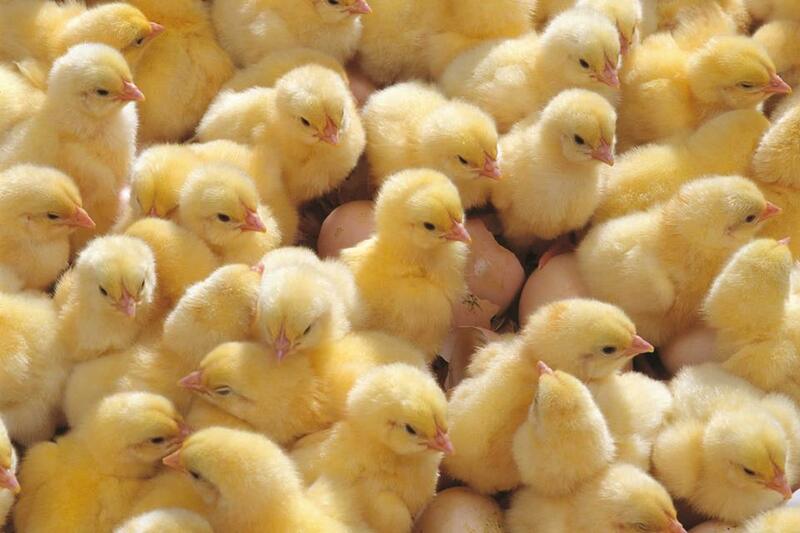 breeder flock affect the survival possibilities of the chicken embryo in ovo. Death at about 48 hours of incubation from failure to develop the circulatory system; abnormalities of kidneys, eyes, and skeleton. Death at about 18 or 19 days of incubation, with malpositions, soft bones, and with a defective upper mandible prominent. Early death at about 84 to 96 hours of incubation, with hemorrhaging and circulatory failure (implicated with selenium). Mortality peaks at 60 hours, 14 days, and 20 days of incubation, with peaks prominent early as deficiency becomes severe. Altered limb and mandible development, dwarfism, and clubbing of down are defects expressed by embryo. High death rate at 19 to 21 days of incubation, and embryos have parrot beak, chondrodystrophy, several skeletal deformities, and webbing between the toes. Deaths appear around 14 days of incubation, although marginal levels may delay problems until emergence. Variable subcutaneous hemorrhaging and edema; wirey down in poults. Mortality at about 20 days of incubation. The dead generally appear normal, but many have bent tibiotarsus, syndactyly, and mandible malformations. In poults, mortality at 26 to 28 days of incubation with abnormalities of extremities and circulatory system.